The man Robert Louis Stevenson based Dr. Jekyll and Mr. Hyde on, is the titular Knifeman, John Hunter. 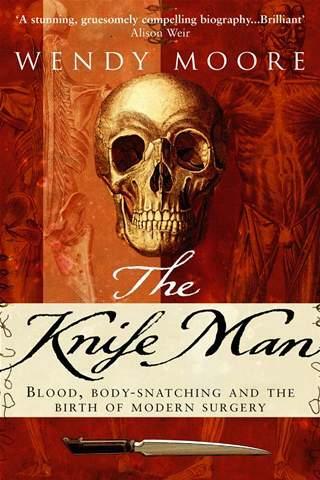 Rolin Jones wrote the pilot for the period drama, having been inspired by Wendy Moore’s novel, “The Knife Man: Blood, Body Snatching And The Birth of Modern Surgery“. Set in 18th Century London, the story follows a surgeon’s quest for knowledge of the unknown. John Tattersall performs unlicensed surgery out of his home during the day, and does some grave robbing at night with his brother who pays him to harvest the organs. There was some interest from David Cronenberg to direct and for Tim Roth to star, however neither are attached to this pilot. Both Jones and Ron Fitzgerald (Friday Night Lights), will develop and serve as executive producers. Galyntine tells the story of a cataclysmic technology-induced disaster and the new society that is made up of small groups of survivors. Wary of what caused the disaster, they flinch in the face of any type of technology. This story of adaptation and survival is written by Jason Cahill (Halt And Catch Fire). Cahill and Greg Nicotero (The Walking Dead) will executive produce. David Zucker and Ridley Scott will also executive produce through Scott Free’s first-look deal with AMC. “These are both highly original and ambitious pilots that take us into worlds that we haven’t seen on TV before,” said Joel Stillerman, AMC’s EVP of programming, production and digital content. “The bawdiness and fun ofKnifeman and London in the mid-18th century; and the completely unique take on a post-apocalyptic world in Galyntine are right in AMC’s wheelhouse of making television that is both unexpected and unconventional.” AMC will premiere two new drama series in 2014, Turn and Halt And Catch Fire. This entry was posted on Tuesday, November 26th, 2013 at 12:42 pm	and is filed under News, Television. You can follow any responses to this entry through the RSS 2.0 feed. You can skip to the end and leave a response. Pinging is currently not allowed. « ‘The Walking Dead’ Season 4 Recap – Episode 7 ‘Dead Weight’!! Look at the *size* of that thing! Cut the chatter, Red 2. Accelerate to attack speed.